2019 © Bruellan. All rights reserved. The Bruellan Wealth Management (Bruellan) website is for information purposes only. It contains information on various financial products or services that are subject to an approval or listing in various countries. Access to this information is likely to be subject to various laws and regulations depending on the country from which this site is viewed. Therefore, it is the responsibility of each user of this site to comply with the laws and regulations incumbent upon him/her. In particular, we emphasise the fact that Bruellan products are not authorised to be distributed or sold to U.S. citizens or residents. The information provided on the Bruellan website under no circumstances constitutes an offer or solicitation to invest in one of the products presented and has no contractual value. Neither can this information be compared to canvassing or an initial public offering and can by no means be considered as exhaustive. The performances stated relate to past performances and are no guarantee of future results. 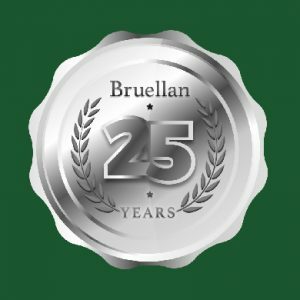 Bruellan does not guarantee the truthfulness or accuracy of the information posted on its site and declines all liability in the event of direct or indirect damage incurred further to the use of such information. Circulation of the information contained on this site is not authorised in any form whatsoever except for downloading or printing for personal use only. Using the site after having read this introductory notice constitutes the user’s acceptance to be bound by the requirements and reservations formulated herein. To continue, please select the country of residence and the type of investor. Depending on your place of residence and the type of investor that you choose, you will benefit from full or limited access to the products offered. I have read and I accept these terms and conditions.